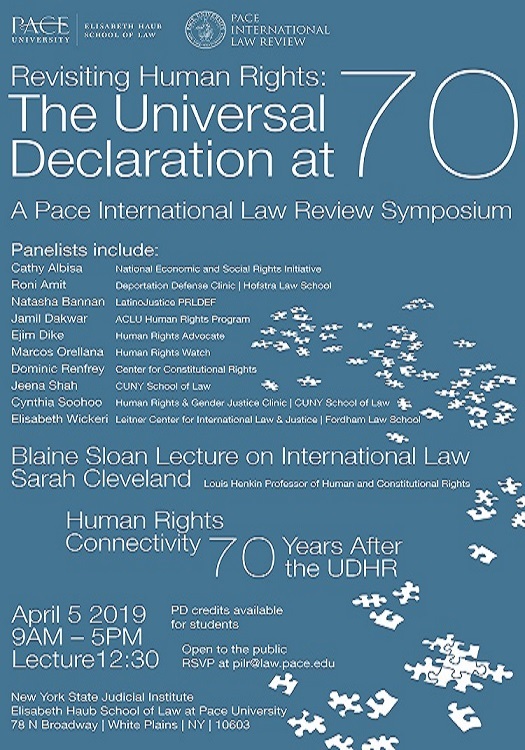 Join Pace International Law Review for an informative and important event offering scholars, practitioners and activists an opportunity to think critically and strategically about securing human rights in a time of multiple and intersecting crises. Click here for the agenda. This event is open to the public. Please RSVP to pilr@law.pace.edu indicating whether you plan to join the lecture, Symposium or both! Up to 4 PD credits available for students.